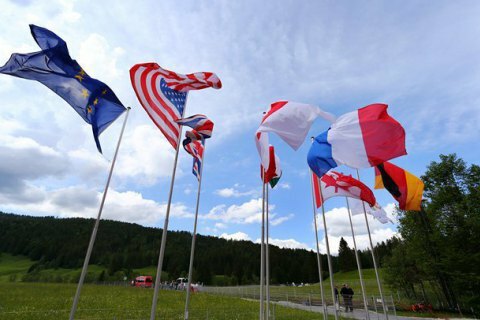 Ambassadors of the G7 countries are concerned about the content of the bill imposing a ban on the investigation of previously closed cases by law enforcement agencies and believe that it carries corruption risks. "Ambassadors concerned about substance of draft #6220 & risk to fight against corruption," Italian Ambassador to Ukraine Davide La Cecilia wrote in his Twitter microblog. The bill will empower SBU and PGO to close probes against corrupt officials conducted by Ukraine's Anti-Corruption Bureau (NABU). La Cechilia added that the ambassadors believe it is important to properly consult domestic and international stakeholders before considering #6220 in Rada in the Verkhovna Rada. The bill number 6220 was registered in the parliament on March 22 by 16 deputies. On April 13, it was adopted in the first reading by 245 votes. The National Anti-Corruption Bureau urged the parliament not to adopt the bill in the second reading and "reject it as not aimed at ensuring public and state interests, effectively combating corruption in the country." NABU sees "significant corruption risks" in the bill, which, if adopted, could create "an unlimited field for abuse of law enforcement agencies." President Petro Poroshenko has said he was satisfied with the establishment and operation of anti-corruption bodies in Ukraine but expected them to show greater efficiency.